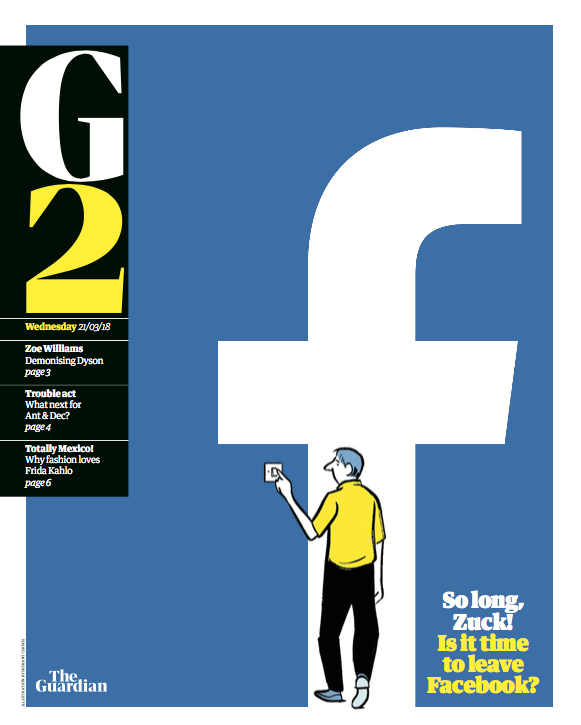 Sarah Habershon is Art Director of G2 at the Guardian. She commissioned Tommy Parkers’ World Illustration Awards shortlisted entry “The Disability Diaries”. 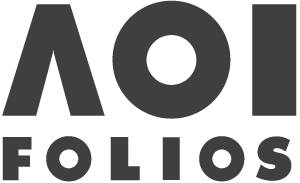 Here we take the opportunity to talk to her about her career in commissioning illustration, and the challenges of editorial illustration times. Can you tell us a bit about your career, and how you got into the industry and your current role? I loved magazines as a teenager and once I had discovered The Face, I wanted to become a magazine designer. Editorial design seemed a good fit for someone who loved art and reading. I did a degree in Graphic Design at the London College of Printing. I got myself work experience on Smash Hits while I was at college and this lead to freelance work on other titles. I worked full time on Number One, Smash Hits, Raw, and Neon (film magazine). Then the Guide at the Guardian after that, which is where I really started commissioning a lot of illustration. With the launch of the Berliner sized Guardian I moved on to art direct the Saturday sections of the paper. 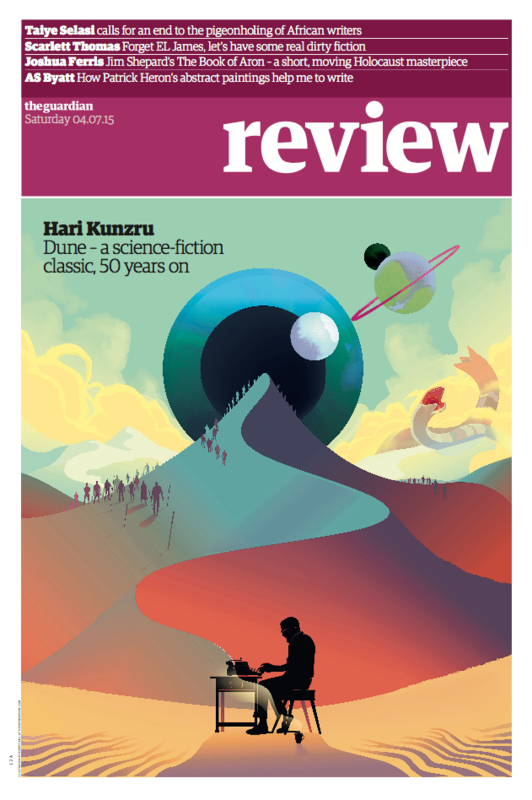 From 2014 one of these was Review, from and I had the privilege of commissioning some fantastic illustration for those covers. Tell us a bit about your role – What is a ‘typical day’ for you? 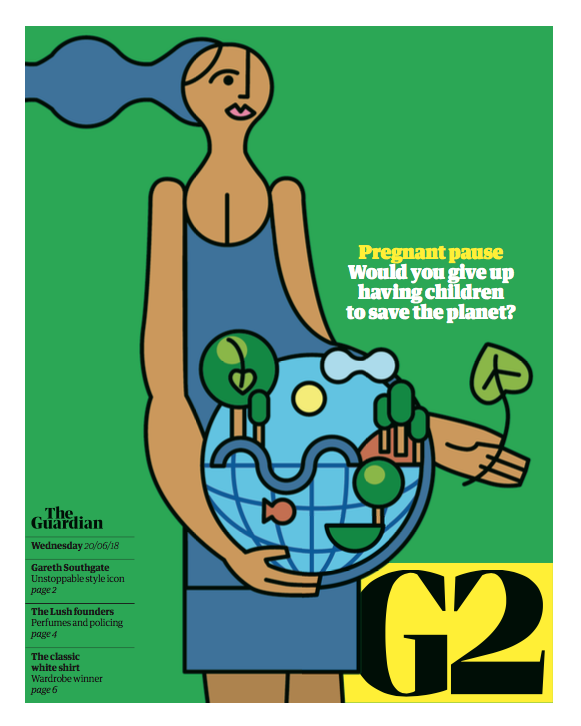 I’m art director of G2 – the Guardian’s daily features section in our printed edition. I start at 10am and we spend all day working on the next day’s edition. All pages must have gone to press by 5.30pm. I work with my deputy, Ellen Wishart. We discuss with the editor and picture desk how we will present the main features, and talk ideas for the cover. It’s up to me to come up with something that works but it will be an ongoing discussion between us all. We have to move quickly! With a live cover I may need to commission an illustration to be completed by about 4pm. Sometimes we will have commissioned ahead of time, but without knowing for sure what day the piece will run. Do you have a preferred way of working with illustrators? Or is it not one size fits all? I’ll contact an illustrator by email or a phone call. I will send them a detailed brief – sizes, layout idea, flagging up considerations, such as where type will sit on a cover, overall mood and ideas we have had for an image. Mostly I will have a starting point for an image, since that will be how I have chosen an illustrator. Or if an illustrator is especially suited to the subject matter, I will ask them for ideas. I do always encourage people to sketch out their own ideas too. It’s best to get rough ideas down quickly so we can nail the idea and the artist can have maximum time to craft the final artwork. I need to get a rough approved by the editor. I love to get a surprise when the artist has taken the initial idea, run with it, and made it fantastic. Can you tell us a bit about the process behind your brilliant piece with Tommy Parker shortlisted for the World Illustration awards? Were there key directions given to Tommy about what the illustration needed to encapsulate? Tommy was great for this. He’s so versatile with characters in situations. And he is able to illustrate serious issues with a lightness of touch which is engaging for the reader. 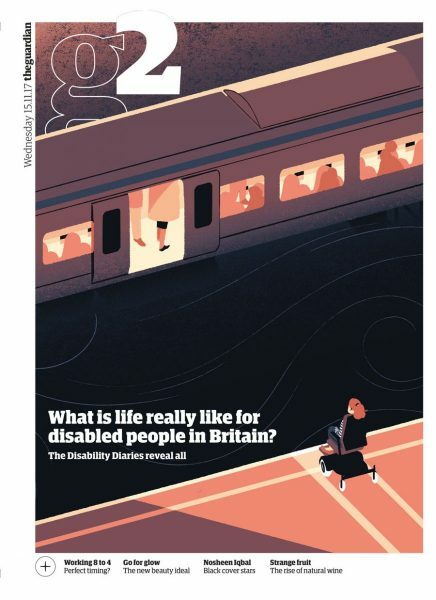 We wanted to illustrate the enormity of the challenges that face disabled people in order to carry out actions which able-bodied people take for granted every day. Together we thought about a situation that someone in a wheelchair might find very difficult; and we wanted to illustrate how that challenge might feel to them. We wanted the image to make an able-bodied person stop and think about that. Illustration (c) Tommy Parker. Shortlisted for the World Illustration Awards 2018. What do you consider the strength of illustration to be, over for example, photography? It can express a complex idea in a more complete way, or it can reveal a particular side of the story, and it can put elements of the story together in a way that a stock photo can’t. It can be inventive and witty and unique. It can create mood and emotion through colour and composition, symbolism or through the way figures are used. What do you enjoy the most about commissioning and working with illustration? I admire the talent of the artists we commission – it’s a privilege to work with that. I love it when the illustrator has really grasped the kind of image we are looking for – in concept and boldness on the page and has improved upon the idea we started with. Opening a file and finding a brilliantly appropriate image is a thrill. I love it when we are both really pleased with the collaboration. Do you have different things in mind for online / print illustration or do all images need to straddle both? At the moment with G2 the images need to straddle both – due to time and budget constraints. I do think about what kind of image, and crop, will be strong when small on a phone. But my priority is to get the printed cover right. The digital design team will get on board for a special presentation with a longer lead time. 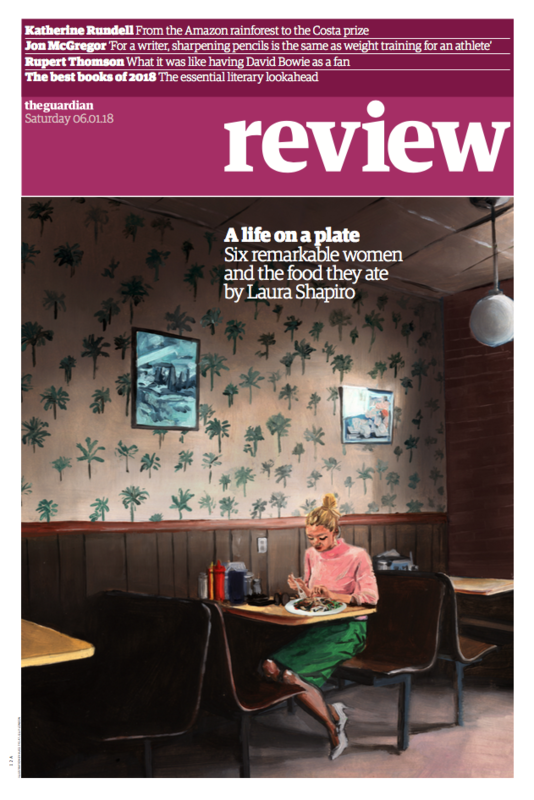 What do you see as being the challenges for editorial illustration in the coming years? There are many illustrators out there! It will be a challenge for them to find their unique voice in both style and content ideas. We’re facing many complex issues – in politics, the environment, health, women’s and LGBTQ issues, immigration etc … and we’ll need energetic ideas about how to express these concepts that really get to the heart of the issues. Also, I’m always interested in new and clever ways to present discussions about technology without always picturing a phone or laptop! Many thanks to Sarah Habershon for taking the time to answer our questions! Find Sarah (and other excellent G2 covers) on her Instagram.